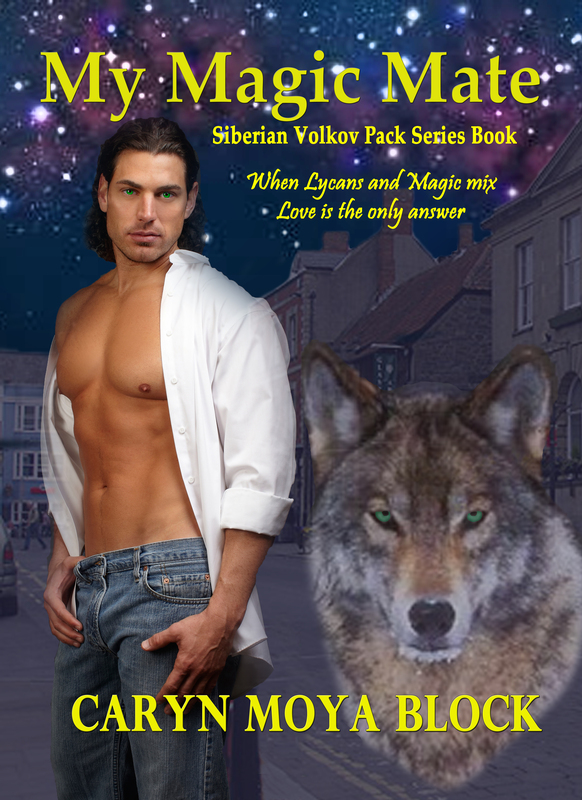 Brencis Solovyov, a Siberian lycanthrope, isn’t looking for a mate. When he visits the local metaphysical store, he is repulsed by the owner’s purple hair and combat boots. And when she gives him a potion that accidently poisons him, he fears for his life. The fact that she is his mate can only be a trick of destiny. After she claims to be a witch, he knows she is truly crazy. But there is something magical about the woman, and he isn’t the only one who has noticed her strange powers. Can he keep her safe from the danger surrounding her? Will he get over his prejudice and let his magic mate cast a spell of love on him? Loved the all the Siberian books when is the next one coming out? Thanks, Melissa. I’m glad you like them. Not sure of the release date for “A Siberian Werewolf in Paris”. I’m still in the first stages of writing it. Wish me luck and hopefully it will be released this summer. Check back for updates.